Pictured: Storyboards from “The Walking Dead,” Season 9 Premiere, Episode 901. Courtesy of the author. I recently moved to Atlanta to take advantage of all the great productions in Georgia. 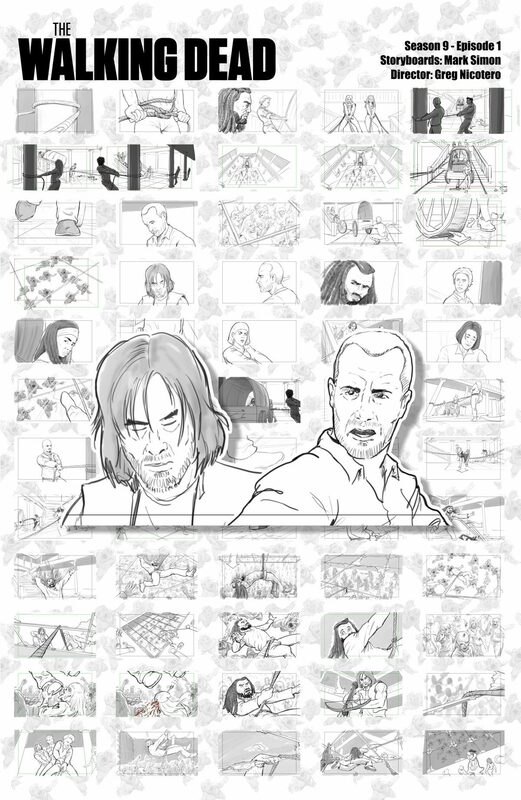 I always set goals for myself, and one of my goals was to storyboard on The Walking Dead. Luckily, I have worked in the industry a very long time, over 30 years. I now have over 4,500 production credits. But I still ask for help from people I’ve worked with. I knew one person on The Walking Dead, director of photography, Stephen Campbell. He and I had worked on dozens of projects together over the last 20+ years. I called Steve prior to moving to Atlanta and asked him to introduce me to one of the producers of The Walking Dead. I just needed an intro. Steve suggested we wait until the series started pre-production early last Spring. Once the production offices opened up, I planned a trip to Atlanta to both look for a home and to, hopefully, meet with producers. 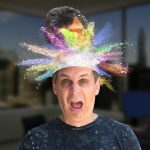 Steve spoke with series executive producer, Tom Luse, about me and forwarded Tom’s contact info to me. I immediately reached out to Tom to set up a face-to-face meeting. I spoke with Tom briefly on the phone, explained my background and the benefits of working with me and told him the days I would be in town, and we set up a time to meet. When I arrived in town, I drove directly to the studio in Senoia, south of Atlanta, and arrived 15 minutes early. 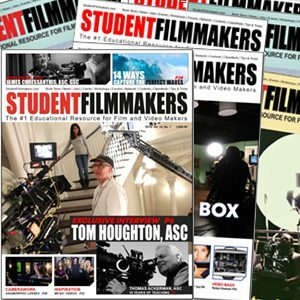 When I sat with Tom, I explained my process of digital storyboarding and showed him examples of my work and how my Storyboard Pro software allowed me to offer more to productions. Tom explained that they were not quite ready to hire a story artist but liked what I showed him. He asked me to check back with him in two weeks. The way he asked me to call back in two weeks sounded like a test. I’ve done the same thing at my studio with applicants to see if they can follow through. Exactly two weeks later I called Tom. He thanked me for calling and told me that one of the other producers would be in touch to start on the show. Later that day I got a call from another producer and was officially hired. I had passed the test. 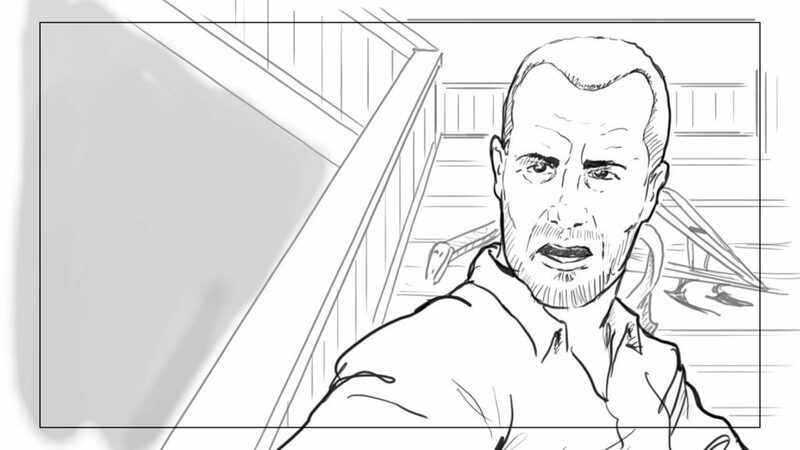 I started storyboarding The Walking Dead before I finished my move to Atlanta. I’m also the first storyboard artist to storyboard an entire season of the show. Plus, I provided the directors with animatics, video storyboards, as I worked. That helped them to better build the story. There are a few morals to this story. One, be willing to ask for help. Two, meeting people face-to-face is always best. And three, when you are asked to do something, follow through. I am proud to have worked on the biggest show on cable. Now I need a new goal.